Bluing solutions, antiquing solutions, leafing pens, Rub-N-Buff, stains, etc. Description: 9-3/4” square. For cleaning gemstones. India. Beeswax Chunk - 75 gr. Description: 75 gram (1.6 ounce) chunk. Ideal for holding jewels & small parts. Or use to lubricate. India. Description: Product #505 is an excellent degreaser. Evaporates fast leaving delicate hair springs clean & dry. 100 ml bottle. This item cannot be shipped by air or internationally. Description: Product #231 is a clear, odorless petroleum based rinse. Ideal for watches & clocks as it restores parts to their original shine & luster. Buy any 4 gallons (mix & match)of any Zenith solutions & deduct $1.00 per gallon from unit price. Description: Buy any 4 gallons (mix & match) of other Zenith solutions & deduct $1.00 per gallon from unit price. Description: 1 pound bag of pumice stone, a fine abrasive powder. Use with oil to produce a fine polish. Description: 1 pound bag of rotten stone is used with oil to produce an ultra-high polish. Especially suited for polishing pivots. Description: Single 3" long piece of Rodico for cleaning precision parts, balance pivots, train wheel pivots, or for removing fingerprints and stains from plates, bridges, dials and hands. From Switzerland. 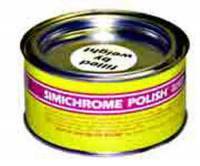 Description: 250 gram can of Simichrome Polish is the finest metal polish you have ever used. Description: 50 gram tube of Simichrome Polish is the finest metal polish you have ever used. Description: Marks permanently on most surfaces, including glass, plastic, paper, etc. Acid free. Shimmering metallic color. 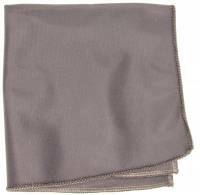 Description: 10" x 10" rouge polishing cloth is double knit and impregnated with jewelers rouge. Description: Specially formulated to remove dirt, grease, oil and particulates quickly and easily. Leaves no residue. Can also be used as a preparatory cleaner for blueing. 3 fluid ounce bottle. Description: 12" x 12" Impregnated with rouge. From India. Description: The fastest and easiest way to touch up nicks and scratches. Penetrates hard steel instantly and gives a durable blue-black finish that will not rub off. Use like a marking pen. One coat. No spill-no drip. OUT OF STOCK UNTIL MARCH 2019. Description: 8" x 6" yellow/red Shinee polishing cloth. Impregnated with jewelers rouge. Made in India. Description: From England, a quality product that polishes and restores patina. Not a wax or solvent. Will not harm French polish or varnish. 120ML bottle. 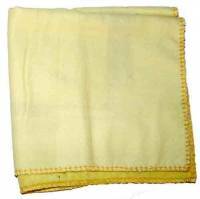 Description: 12" x 12" siliconized polishing cloth. Made in India. Description: G-S crystal cement dries clear. 1/3 fluid ounce tube. Description: Gel formula removes glue from skin and other surfaces. Cleans up excess glue. Won’t drip. Works on most glues and adhesives. 5g brush-on bottle. Description: Made in England. Restores color to black marble and slate clocks. Apply and buff to a high shine. 120 ml bottle. Description: 6 ounce tube of red compound in a peel away cardboard container. Produces a dark luster on gold and silver. Description: Quickly removes adhesive residue from most surfaces. Also removes crayon, marker, grease, oil, wax & paint. Fast-acting. 11 ounce can. Description: Brush 'N' Leaf non-tarnishing metallic paint decorates, stripes or highlights in on brush-on step. Leafs any surface, any material. Quick drying. 1 fluid ounce bottle covers 7-8 square feet. Description: Swiss made, Bergeon Diamantine (aluminum oxide) is a fast cutting abrasive for polishing pivots and stones. 15 grain bottle. Description: 7 ounce tube of green compound in a peel away cardboard container. 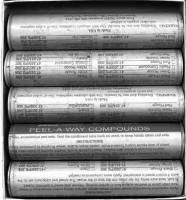 Produces a high luster on stainless, brass, nickel silver and platinum. Description: Place a drop on the head and end of screw and allow the fluid to sink in to break bonds. 6cc plunger applicator. 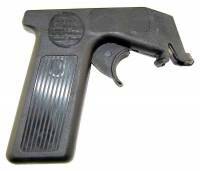 Description: Handy plastic device attaches to the top of most aerosol cans, turning them into instant spray guns. Description: Goddard's Brass & copper polish has an anti-tarnish formula that resists fingerprints. Fast working on brass, copper, pewter, stainless steel and aluminum. 7 ounce plastic bottle. Description: 4 ounce tube of tripoli compound in a peel away cardboard container. Fast cutting on brass, copper and aluminum. Description: Change spray heads on aerosols to customize the spray pattern, or to replace clogged heads. Description: Polishing compound kit contains 5 different compounds: red, plastic, yellow, tripoli and emery. Description: Removes light scratches and produces a mirror finish with no discoloration. Use for all types of precious metals plus brass and pewter. Greaseless. Little or no residue. 1 lb. Description: .016" needle only for glue syringe.